Badaga customs and traditions are known for their simplicity, adaptability and practicality. In this respect a Badaga wedding follows a set of simple rules that has been almost the same over the centuries. But for a minor change here and there, it has been almost the same in all the villages spread across the Nakku Betta or the Nilgiri Hills. The greatest plus points of a Badaga marriage are that there is NO DOWRY, the wedding always takes place in the boy’s (bride groom’s) house [or the place of his choice in case of a Kalyana Mandapam /Hotel] and all the wedding expenses including the customary feast [Maduve Hittu] of only vegetarian dishes, are borne by the groom’s family. Incidentally, divorce and remarriges are not uncommon and a widow is not condemned for ever like in most of the Hindu communities and in many cases the widow can marry again even if she has children from her earlier marriage. Happy to understand and know that there is adaptability and practicality in Badagas, and appreciate that there is NO DOWRY. However, I would like to understand that in today’s world – as you all know the various cultures throughout our nation are being merged in one family and its like diversity through marriages between different castes, languages and cultures – apologies though I am not a keen supporter of inter-religion marriages. Why is that still in Badagas I can see that they are not accepting inter-caste marriages? I think people must support it as well, atleast considering we all are humans of same race in hindu/christian/muslim minority?! Can a Badaga woman marry a non badaga man? Can a divorced woman in the Badaga community marry any man of her choice or can do intercaste marriage? I would like to thank you for providing very valuable historical & culture and values of Badagas. 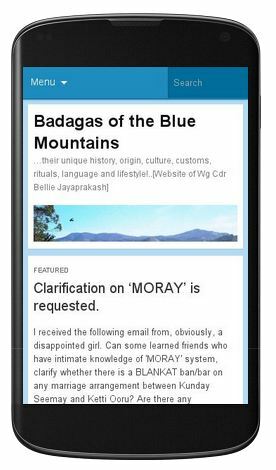 i am suprised to know about this identical tribe.. i have friends from baduga .. they and their language.. am very much eager to learn this lovely knowledge.. I am not a Badaga.. but after seeing all your rituals.. I like to get converted to your community.. Is there any opportunity for that? Really great to learn of a new culture to me from your website! Great work! Also good to learn of your simple, practical but rich culture. Especially intriguing is that the society could see divorce and remarriage for what it is, a continuation of life and carry on with living instead of condemnation and despair. I am a friend of Badaga! Really great and rich website!Best regards! I feel proud to be a Badaga. It is necessary to all our community people to know our culture and the traditions. My heartiest thanks to the designer of this website to publish about our community traditions. I am not a Badaga but I got chance for friendship with Badaga guys.Really they are all of good character and helping mind. 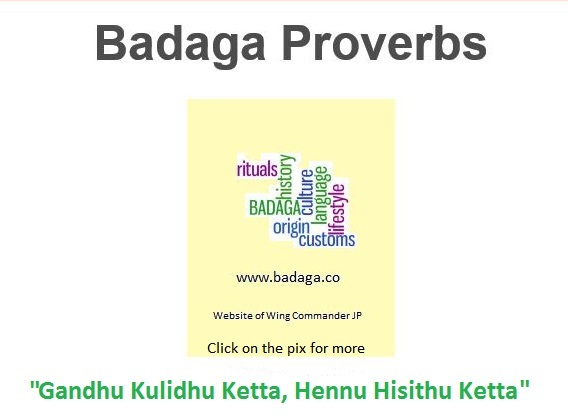 Me too a baduga, its a wonderful website to know about our culture and other information, its very good. I always feel proud while discussing about marriages with my friends(non-badaga), wherein all will speak about giving and recieving DOWRY and I used to say that “We Badaga’s dont even use that word DOWRY”. Proud to be BADAGA….. I really wondered on seeing the information. Though I am a Badaga, I don’t know any history or abt our culture… from this website I came to know a lot information. Really, it is a thing that has to be appreciated by all our Badaga people to encourage the talented guys from our caste.. let us pray for their success in future to direct a hit movie so that the world will come to know abt our culture ! I had the priviledge to come for a Badaga wedding last weekend. I was astonished to see the people following the same old culture here with utmost respect even now , when the rapidly changing modern society is having a great impact on cultures around the world. I am not an Badaga, but danced (Badaga Dance) to the Badaga Song and enjoyed eating the Badaga Food. I dont have words to explain the joy I had in the two days I spent with Badaga Community. Hospitality of the people is commendable. My respect to your community has sky rocketed . The Place (Nilgiris) is Awesome and the People are very Humble. The bridegroom is from my (Hubbathalai) hatty. I am proud to be a Badaga. Good work done. I got lot of information from this. My wishes and cooperation will be there always.And add to this Bagadas dont see horoscope for marriage.